As a Washington homeowner, you likely have a pretty good idea of how your house operates. Whether it’s that sticky bedroom window that is always giving you a hard time or a clothes dryer that requires extra attention, every home has its own quirks. It is often pretty obvious when major repairs are needed, but when it comes to your home’s plumbing, some issues can be hard to diagnose. Professional plumbing repairs can provide safety and peace of mind to homes all across the Pacific Northwest, and finding problems in need of remediation is the first step in taking care of your proper. While Action Jacking Plumbing is proud to be your trusted source for reliable plumbing services in Edmonds and beyond, our team is not psychic! When called upon, we can provide a wide range of quality services to your home or business, whether it needs a simple sewer inspection, drain cleaning, or a complete overhaul. If you’re not sure when is a good time to call your local plumbing company and when it is ok to ignore an issue, read on below to find a few instances that may be occuring in your home. If service is needed, our licensed and insured plumbing pros will be sure to deliver the best experience, offering honest and expedient services to get your home or building up and running. Contact us today for assistance! Right now, your pipe is leaking and likely raising your monthly water bill. More leaks equate to more lost water, resulting in more money and clean H2O wasted. If you’re worried about the cost of professional plumbing services, remember that your water bill will quickly add up over time! In the future, your home is at an increased risk for costly damages. Leaky pipes are not sealed, creating additional concerns when it comes to bursts or breaks. The pressure placed on your lines can focus on this weakened spot, bursting through and flooding your home. If you happen to be out of the house, this small leak can turn into a major disaster! We’ve all been there. 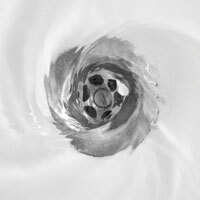 Using the tub or the sink, only to wait and moderate your cleaning activity because the drain is backed up and simply won’t do its job. Drains that remove water at a snail’s pace can prove to be an annoyance for each inhabitant. While it is annoying and sometimes worrisome, most residents put off drain cleaning services or reach for a harmful chemical cleaner. Drains that frequently become clogged can be remedied by rooter services, where a professional plumber comes in and breaks away pesky clogs. We also offer hydro jetting for lines that are in desperate need of a power-wash. Failing to do so can result in major blockages in your line, resulting in backups that can be both unsanitary and very costly to remedy. 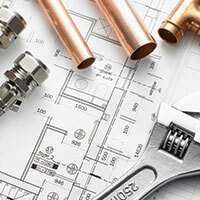 We recommend speaking with the Action Jackson team to learn about our efficient and cost-effective plumbing services. It can be alarming to turn on your shower, only to hear a lot of crashing, gulping, or even wobbling noises emanating somewhere from inside the home. While many people chalk this up to their home’s personality, the truth is that your abode may be at danger for future problems. Pipes that shake or vibrate may be attached via loose fittings. Other intimidating sounds often come from bubbles or air pockets in the line, surging forth and creating an imbalance in your water or waste system. We recommend seeking out help from local plumbers quickly, as this loud inconvenience may be the symptom of pipes that are either already suffering a breakdown or are about to break down. There are numerous problems that, while seemingly minor, can result in major problems for your home. 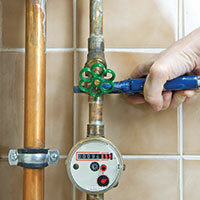 Next time, we’ll continue this topic by highlighting a few more signs that it’s time for profession plumbing repairs. If you’re in need of trusted plumbing services in Edmonds, Seattle, or any of the nearby areas, Action Jackson Plumbing is here to serve as your honest and trusted team of experts. 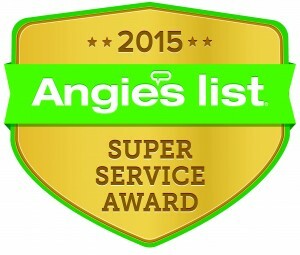 Contact us today to learn more or to schedule your plumbing inspection!